MOTIONGATE™ Dubai is the largest Hollywood-inspired theme park in the Middle East, uniting three Hollywood studios for the first time – Columbia Pictures including the Smurfs, DreamWorks Animation and Lionsgate. 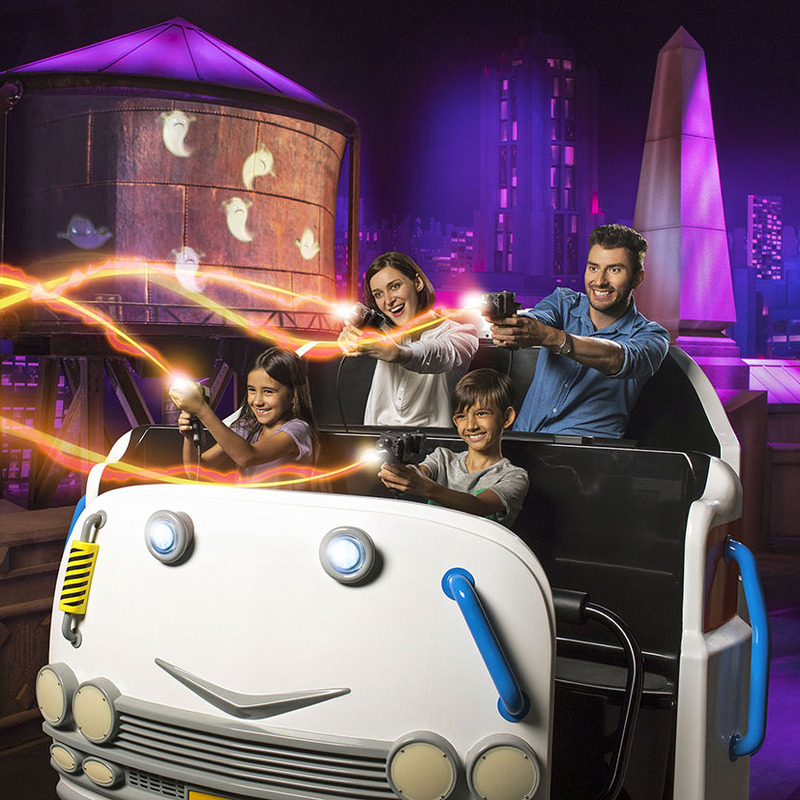 Featuring 27 immersive rides and attractions, 15 live entertainment experiences, 9 themed restaurants and 15 themed retail outlets, MOTIONGATE™ Dubai brings to life 13 of Hollywood’s most beloved blockbuster films. 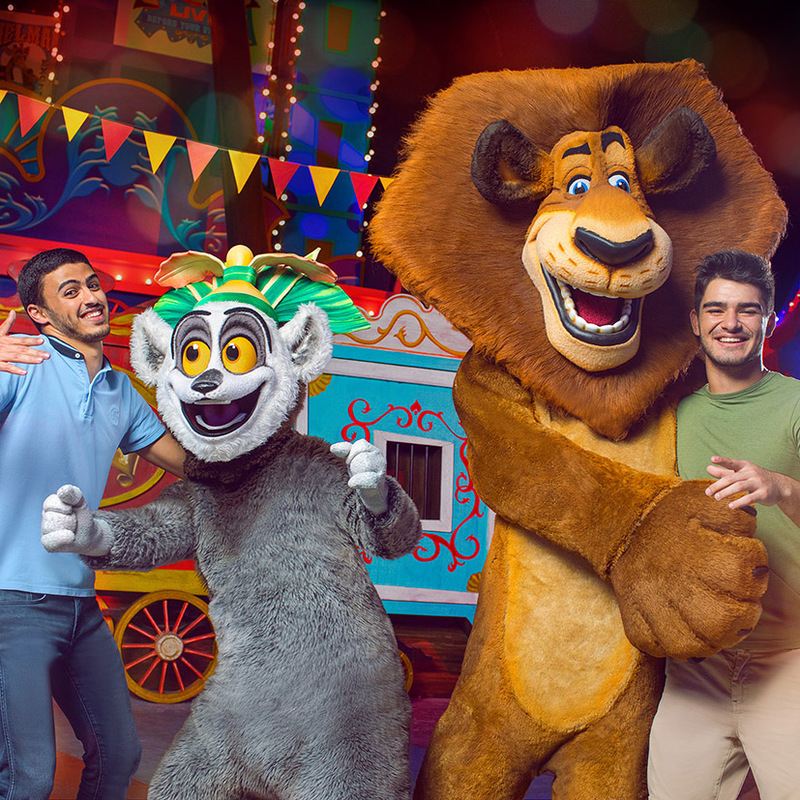 Spread across five movie-themed zones, guests of all ages will be entertained by 27 key rides and attractions, including roller coasters, multi-media dark rides, interactive play labs, media-based theatre shows, plus a full program of roaming entertainment and live dance performances. Inspired by 13 of Hollywood’s most beloved live action and animated films, visitors are transported into the world of movies including Shrek, Kung Fu Panda, Hotel Transylvania, Ghostbusters and The Smurfs. You are not able to bring food and drink from outside of the park into MOTIONGATE™ Dubai. Therefore, you’ll want to organise to eat before you enter the park or eat at one of the MOTIONGATE™ Dubai Cafes. Dubai Parks and Resorts is easy to access via car or public transport. By Car: From Downtown Dubai, head south of Sheikh Zayed Road, past Dubai Marina and Jebel Ali, Dubai Parks and Resorts will be on the left side of the road. The journey shouldn’t take more than 40 minutes. By Public Transport: Take the red metro line south all the way to the end station Jebel Ali. From this station, it is only a short taxi ride to Dubai Parks and Resorts.